The iPad mini 3’s identical repairability score with that of last year’s model should hardly catch anyone by surprise. Save for the Touch ID sensor and the gold color option, the two tablets are identical. 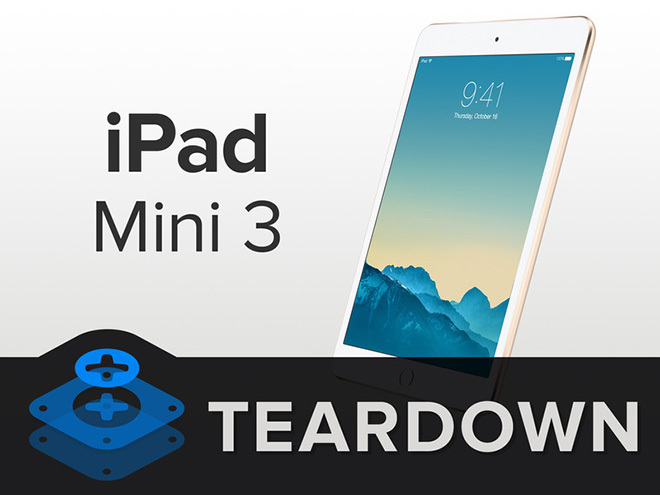 Speaking of Touch ID, the iFixit teardown reveals that its implementation in the iPad mini 3 is far from perfect. The home button bracket is held to the front panel with hot glue, so it is next to impossible to transfer it during a repair of a cracked screen. In its breakdown of the iPad mini 3’s repairability score, iFixit commends the tablet for featuring LCD display and glass that are not fused together, as well as battery, which isn’t soldered to the logic board. 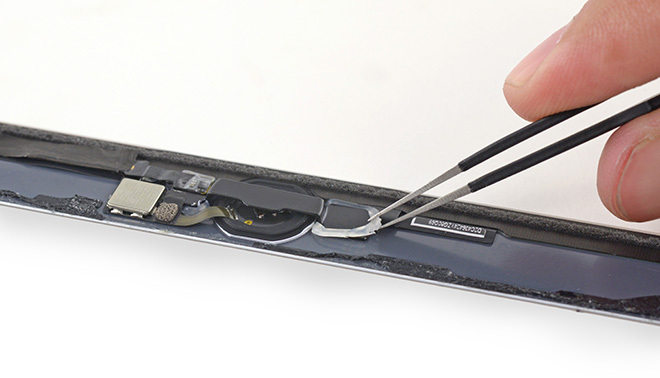 However, large amounts of adhesive throughout the slate’s internals, soldered Lightning connector, and difficult to remove home button bring the poor repairability score upon the device.